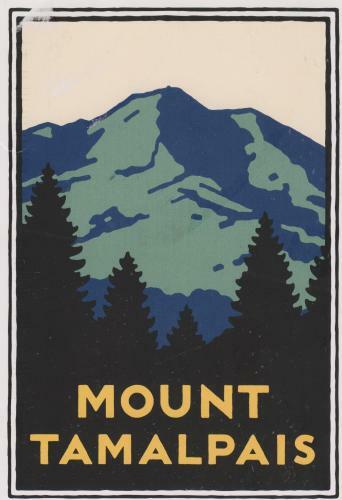 Postcard US-1994530 from California shows Mount Tamalpais, located in Marin County, California with a 2,574-foot or 785-meter peak. The mountain bike is said to have been invented here. Located on the other side of the Golden Gate Bridge across San Francisco, it offers spectacular ocean views and city views of San Francisco from the top. Much of Mount Tamalpais is protected within public lands such as Mount Tamalpais State Park. Today in History: The Chicago "L" commuter rail system began operation in 1892.